RABDF was founded in 1876 as an independent organization dedicated to the interests of dairy farmers, the improvement of dairy stock, dairy produce and the dairy industry of the UK and the establishment of the Dairy Show. Initially membership was concentrated in the South of England and included dairy farmers, vets, consultants, herd managers and members of the supply trade. RABDF was registered as a charity at a very early stage and was appropriately based at offices in London, where the Dairy Show was held for almost 100 years at Olympia. 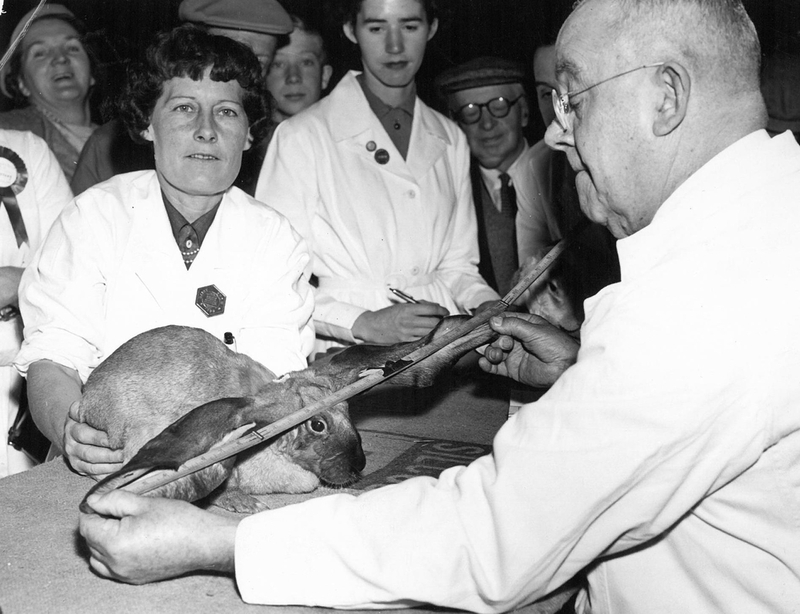 As well as dairy cattle classes, there were additional classes for pigs, goats and chickens. 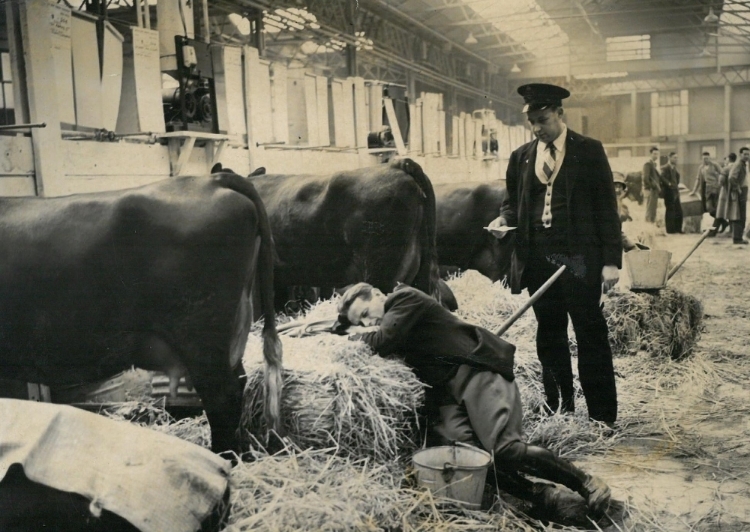 The Dairy Show was also renowned for the five day Economic Milking Trials, which helped to establish the value of milk quality in terms of butterfat and protein content. The Dairy Show was later organised jointly by RABDF and MMB as equal partners, for which arrangement we were greatly indebted to Sir Richard Trehane, Chairman of MMB. This continued until the dissolution of the MMB in 1994. At this stage we also had strong links with the Commonwealth via RASC, particularly in the days when Frank Francis was CEO to both RABDF and RASC. Our charitable status was maintained by our involvement in agricultural education; for example we took responsibility for the dairy qualification of the NDD (National Diploma in Dairying) courses, which were run at several Agricultural Colleges. After leaving Olympia in 1974, the Dairy Show was held for one year at Stoneleigh, then the next year at the Great Yorkshire Showground, finally moving back to Stoneleigh in 1977 thanks to the support of RASE. At all stages of our history we have worked tirelessly with the Dairy Breed Societies to achieve improvements in standards at all levels and the continued success of the Dairy Show owes much to their substantial contributions. In 1983 our CEO Frank Francis retired and was replaced by Philip Gilbert. The drive for membership became paramount and a strategic review was carried out. This resulted in the move to Leamington Spa in 1993 which speeded up the modernisation of office procedures and administration, which had already begun in London, to make more rapid progress. Policymaking and implementation were streamlined by the reduction of Council from 66 to 20 members and by the establishment of a number of sub-committees that reported back to Council. Nick Everington took over as CEO in 2002. In 1990 the Annual Conference at Malvern was established and at this time the number of Open Days and Farm Walks was increased, as was the frequency of Newsletters intended to keep members informed of developments within RABDF. Our charitable work linked to agricultural education was strengthened by the introduction of the "Young Dairy Student of the Year" Award in 1994 and by the introduction of a "College Lecturers' Day" to help the colleges to remain at the forefront of dairy developments. In our continued pursuit of excellence, "The Princess Royal Award" and "The Prince Philip Award" were later established and the Director Training Programme was started in conjunction with the Plunkett Foundation. Throughout the years the RABDF has acted in the best interests of Dairy Farmers in responding to government consultations and enquiries, as well as working closely with MDC, Dairy Council, and NFU on the costs of milk production and with Dairy UK. 2017 brought a change in direction as the charity reviewed all its activities. A brand new event was launched - Dairy-Tech which will take place for the first time at Stoneleigh Park, Warwickshire in February 2018.